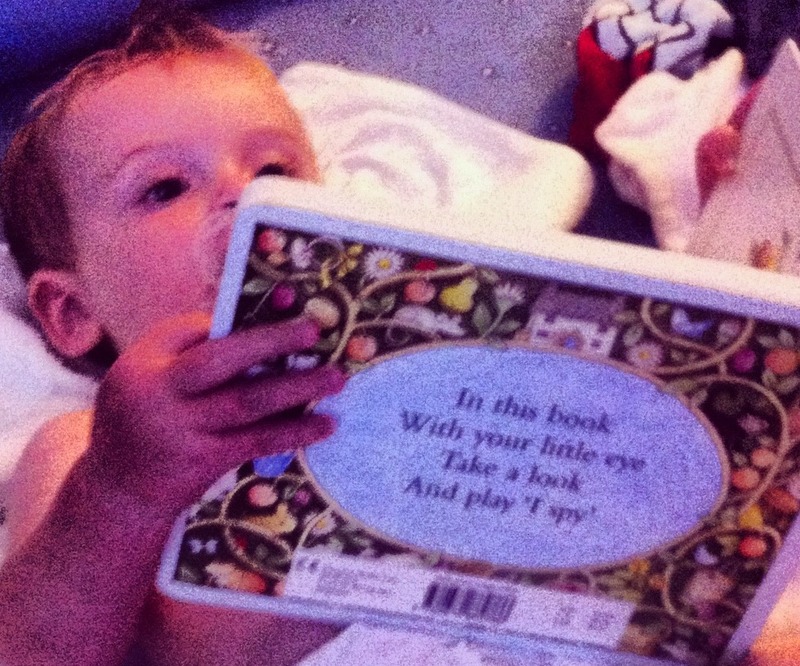 Today is World Book Day so I wanted to write a little post about my small bookworm and his love of “reading”. Out of all the toys Dexter owns I can confidently say his favourite will be a book. He’s progressed from eating them to now sitting down and flicking through the pages. Dexter loves routine and rituals. The thought of looking forward to a story together makes the bedtime routine so much more fun and exciting, plus we get to end the day with a lovely cuddle and an oppotunity for me to “showcase” my talent of regional accents. Reading a book together also helps a Dexter wind down ready for sleep. We’ve built up an impressive library at home which we keep in D’s playroom. When his books were kept in his bedroom, sleep did not happen. He would scream and whine until he was allowed at them so they’ve all been moved well out the way. All of his books have either been purchased at book sales, jumble sales, charity shops, with gift vouchers or given to him as a gift. I’ve not pushed my influence on him but I do hope Dexter will grow up loving the classics that I loved. I bought him The Postman recently, which was my all time favourite. I can still remember when we first received the book at infant school and how I patiently waited for weeks until it was my turn to take it home. It was completely dog-eared by the time I got it but when I did get it home I treated the book and its contents like it was the most precious thing in the world to me. Dexter loves to read Buster’s Farm and enjoys revealing (painfully slowly at times) the animals underneath the flaps. He knows the book so well that he does unfortunately give it away at times by doing the animal noise before he’s even revealed who’s hiding. I think I need to teach him about suspense and timing. Another favourite of his is Each Peach Pear Plum. I love reading this book with him and introducing him to traditional fairytale characters.